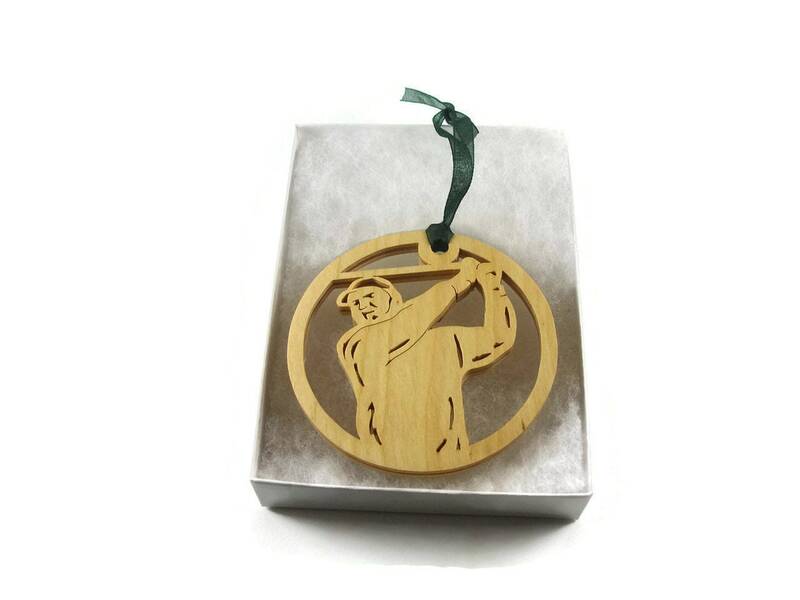 If you are a male golfer or someone special to you is then this is the perfect gift to get for yourself or that special friend. 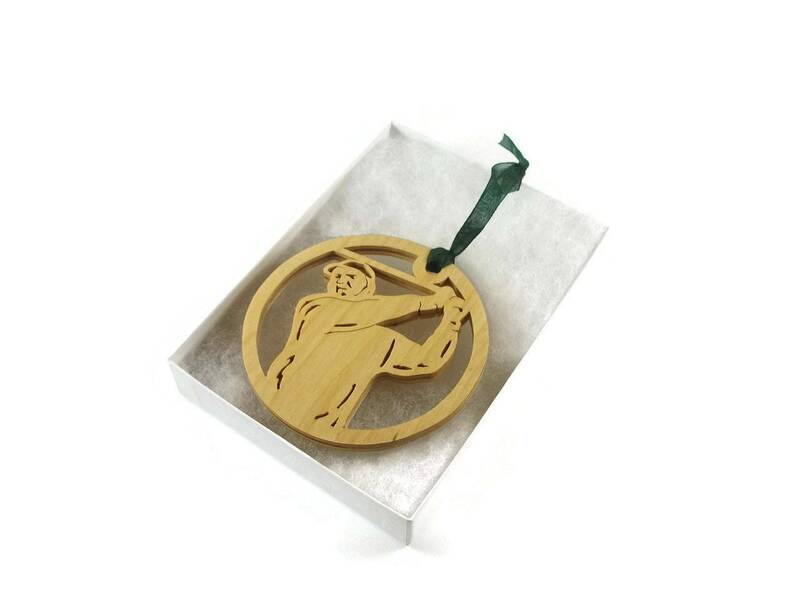 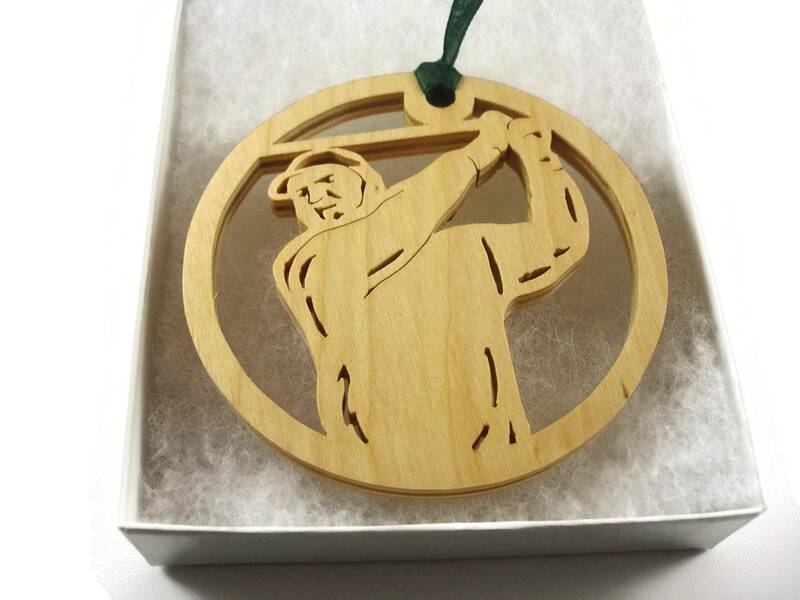 This male golfing ornament was cut by hand ( Handmade) from Birch wood. 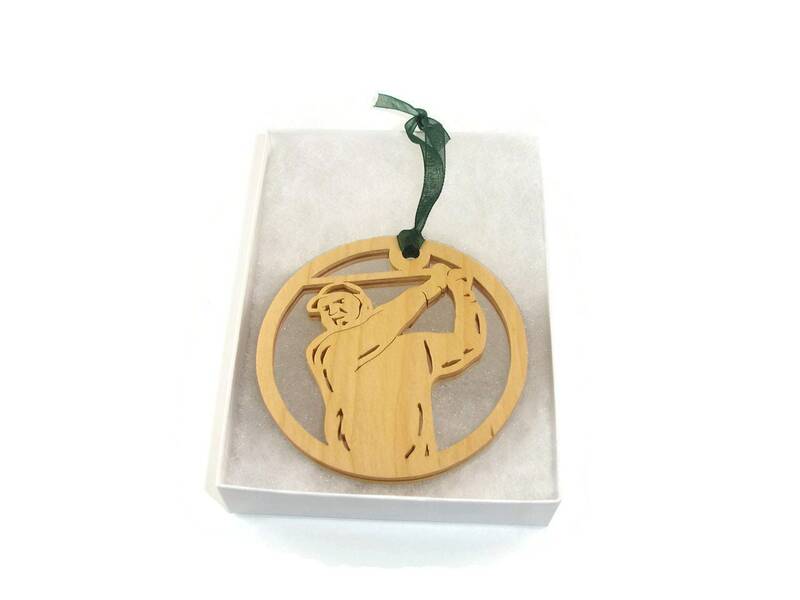 A homemade all natural non-toxic mixture of beeswax and mineral oil finish was applied to bring out the natural beauty of the wood. 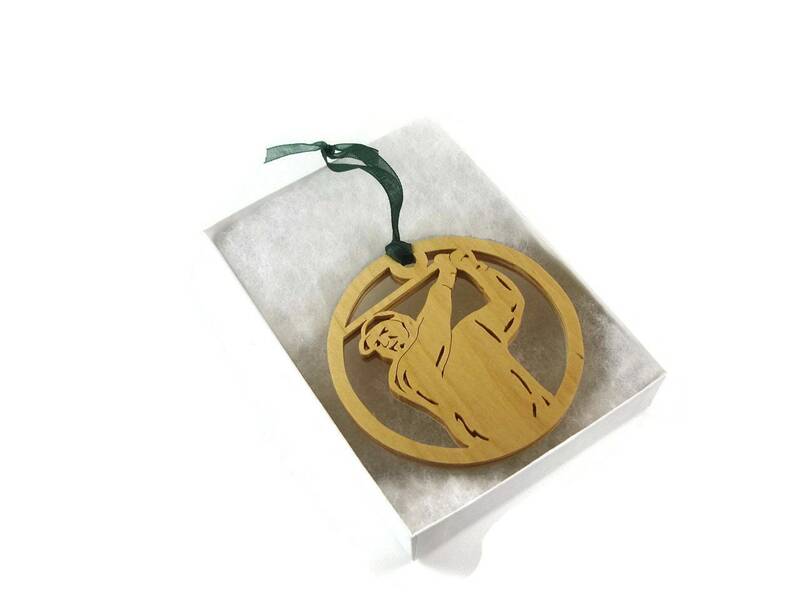 A various color ribbon was attached for ease of hanging.